Until just last year, I was completely unaware of how great cast iron could possibly be. I was “one of those people” that was sick of sticking food in my pans (which I now know is due to poor seasoning) and the weight of cast iron. Confession – when my husband and I got married I replaced the few cast iron dishes he had with the “better” teflon ones I preferred. 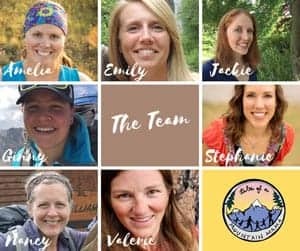 Eeek!! However, with a gentle nudge in the right direction and some helpful tips, I have successfully crossed over to using it daily. 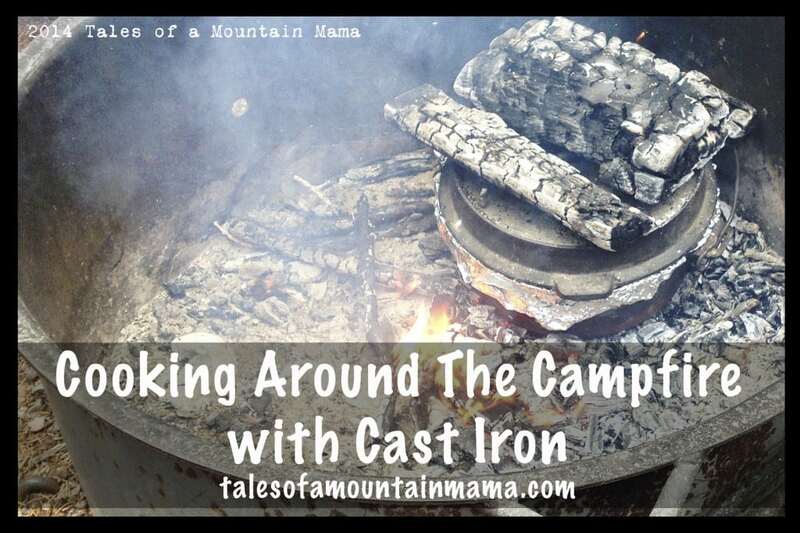 While cast iron would certainly not be used for backpacking trips (because of the weight), the great thing about it is being able to use it both for indoor cooking and cooking over a campfire. Our collection joins us both at home and out camping. It’s nonstick (as long as you season them correctly….see below for some tips on that!) This was my issue until very recently – I just wasn’t seasoning them correctly. 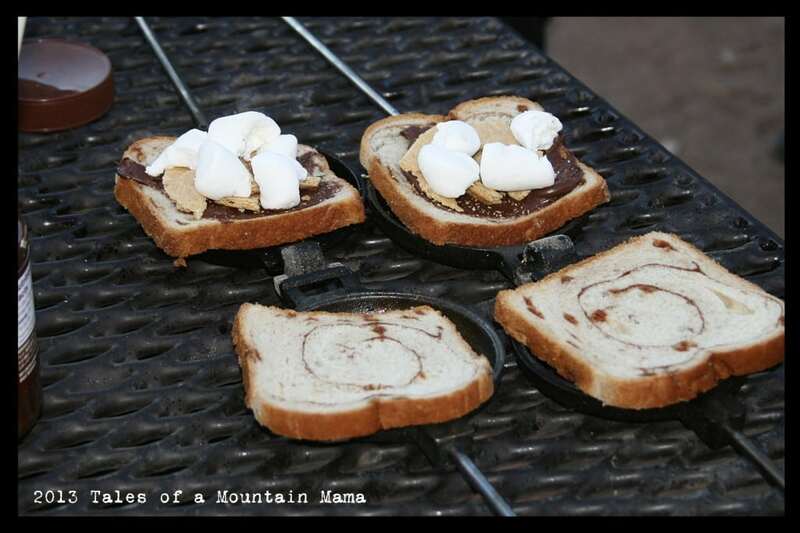 It’s super versatile and works for indoor cooking on the stove and oven, cooking on the grill, and cooking on a campfire. In fact, one dish could successfully visit all those cooking surfaces for one meal. You don’t have to wash it with soap…in fact it is better if soap never touches cast iron because it breaks down the seasoning. Just warm water and a course brush (but not a metal one) or course salt works fine too! Small amounts of iron are released into your food which is healthy and helps avoid anemia! Cast iron can be incredibly intimidating because it takes some work to season it and get it fully ready to go and work well for you. However, once you get them seasoned well, cast iron pans will cook your food well for forever. Ginger, nutmeg, cloves, etc. to taste! 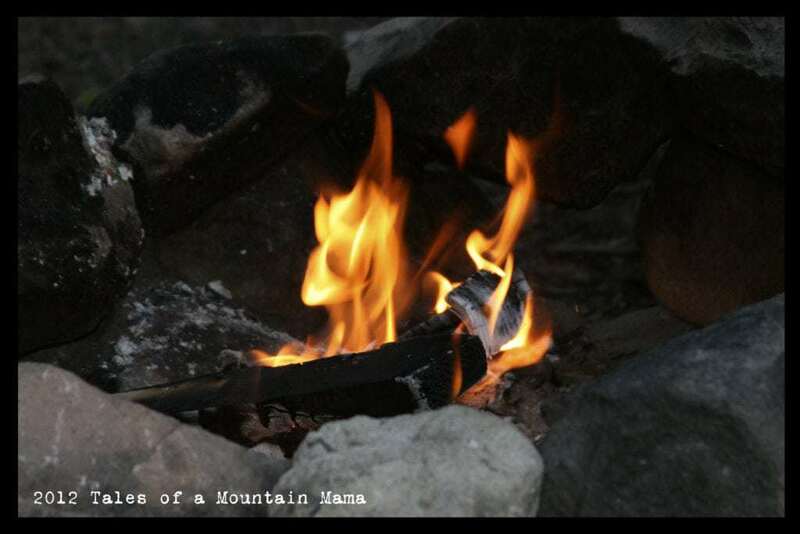 We choose to line our Dutch Oven with tin foil for this recipe. 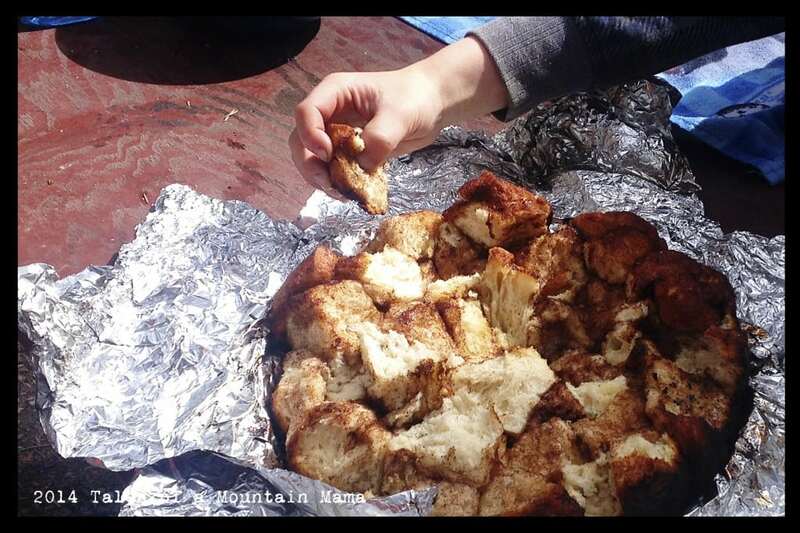 It makes cleaning it much easier and it’s easy to lift the whole monkey bread loaf out for eating. Pour half the butter on the bottom of the pan and be sure it covers the whole surface. It also helps to spray the whole inside of the Dutch oven (lined with tin foil) with oil. Mix the sugars and spices together. 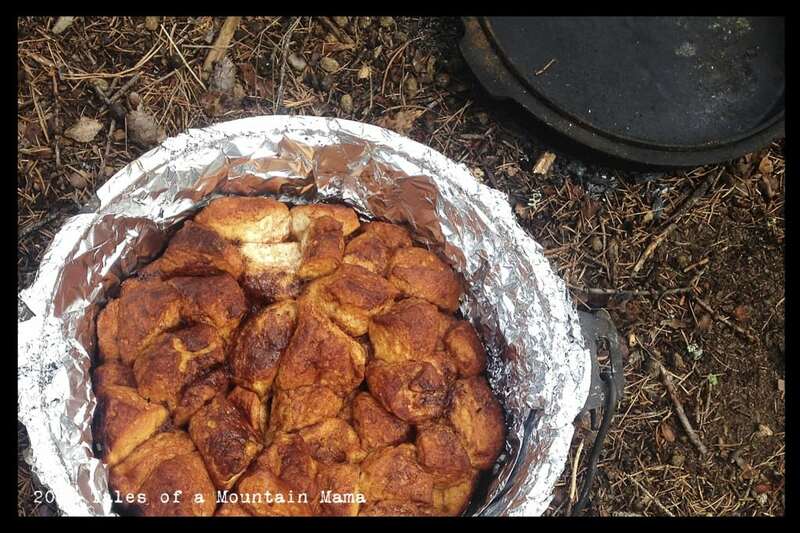 Bake the Monkey Bread on COALS in the dutch oven for about 15-20 minutes. Check often. This is a great quick dinner for kids and can be modified just like any pizza recipe to fit your preferences. The only kicker is that this is an eat-as-you-make-it dinner (so you can eat them hot!) It totally works for camping, though, because most kids are running around even for meals anyway. Any other toppings – pepperoni, veggies, chicken, etc. Scoop out about 1/4 cup Bisquick onto PPP, add cheese, sauce and toppings, and then one more scoop of Bisquick. Cook on coals for about 8-12 minutes. Check often. 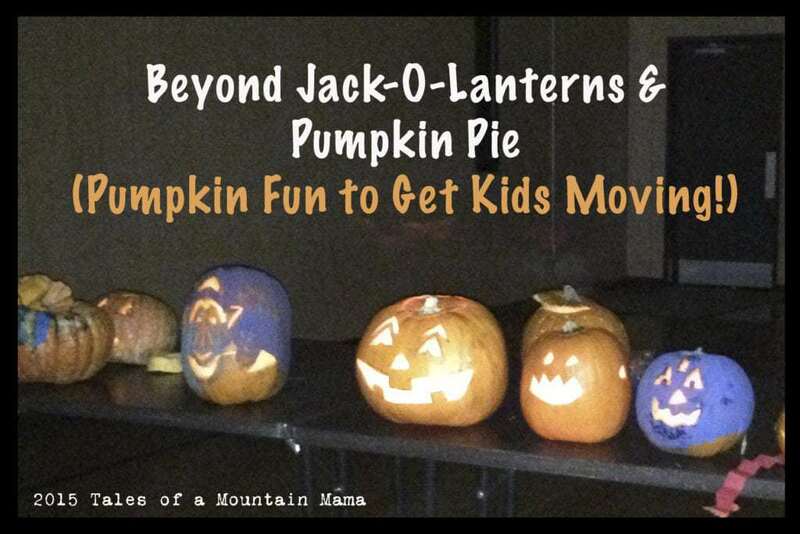 Read our full recipe here or by clicking the image below. 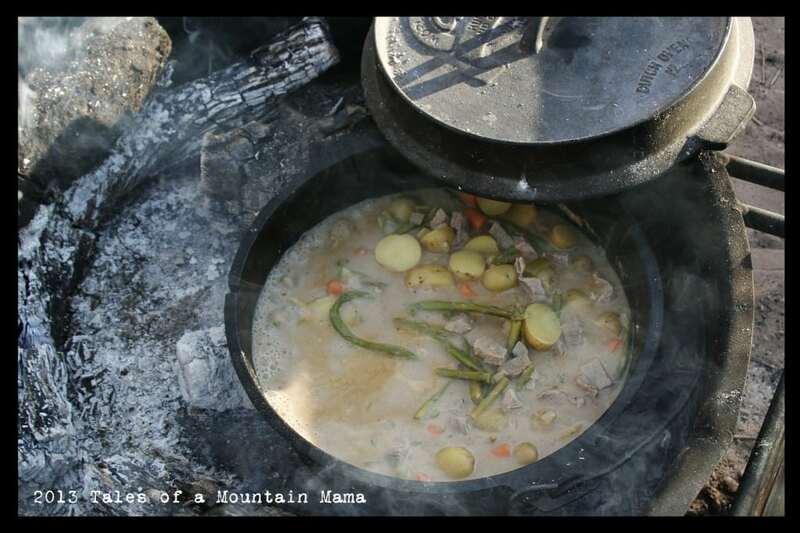 Dutch Oven stew using coals – it takes a while to cook, but is so worth it! Another fun Pudgie Pie treat. Prepping the Pudgie Pie Pans for Dessert! Cook on coals about 6-10 minutes. Check often. I’m a huge can of cast iron cooking too. I’ve made that monkey bread recipe a few times. Yum!